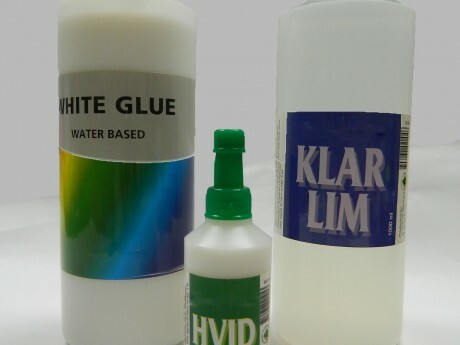 White glue in PVA-Hi-Light International Inc.
Water-based Glue suitable for most materials. The Glue in white and clear are suitable for gluing paper, carboard, fabric, photo and even stone, glass pieces , wood and leather etc. Glue is clear ehen dry. Glue spots are easily removed with cold water.